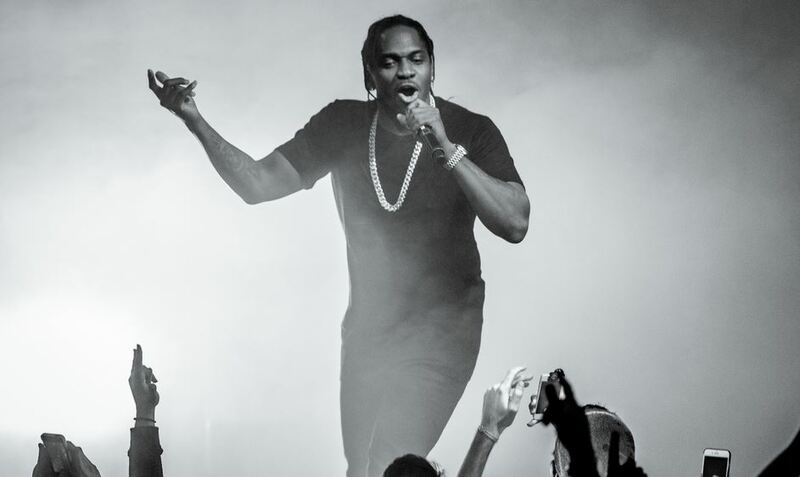 Pusha T’s Daytona tour made a stop at the Danforth Music Hall in Toronto on Tuesday night but it didn’t end up as he would have liked. While the G.O.O.D. Music President was performing the song ‘M.F.T.R.’, some people from the crowd threw water, beer and paint on stage. There are varied reports about what exactly happened following that but as per concert goers, Pusha’s security and the venue’s security took the men down who tried to rush the stage and prevented them from touching Pusha. See the video below. After a few minutes, Pusha reportedly returned to the stage to perform a few more songs before cops came and shut down the concert. The first song he performed after being back on stage was ‘Infrared’ where he takes shots at Drake. We will be updating this article as more information becomes available.